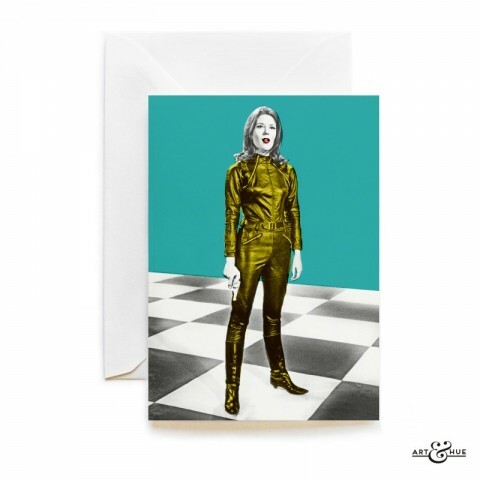 Happy 80th Birthday to Dame Diana Rigg! 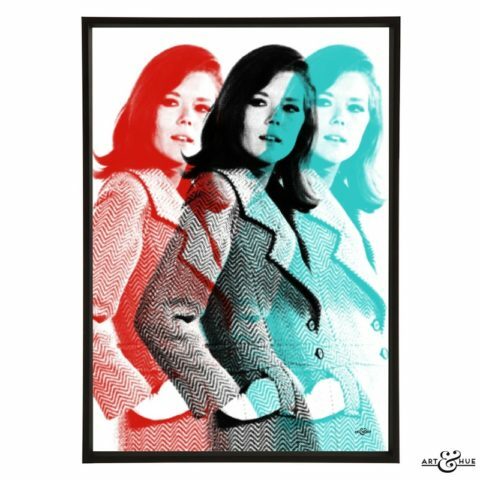 Happy 80th birthday to the wonderful Diana Rigg! 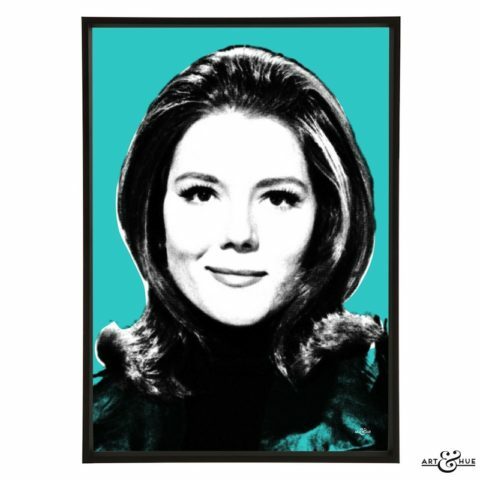 There’s nothing like a Dame, so the song goes, and the lyric certainly applies to Dame Diana Rigg. 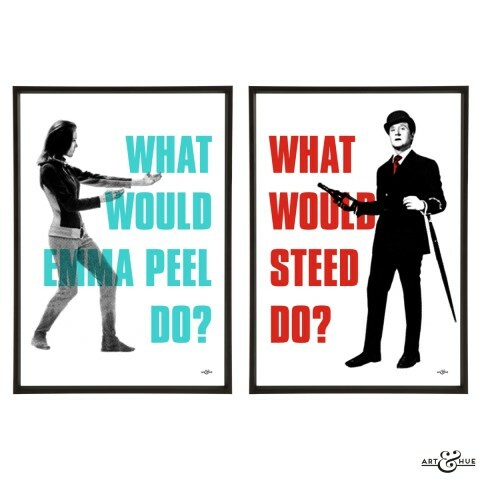 Since bursting onto TV screens in the 1960s as Mrs Peel, she’s been an inspirational role model across the world. 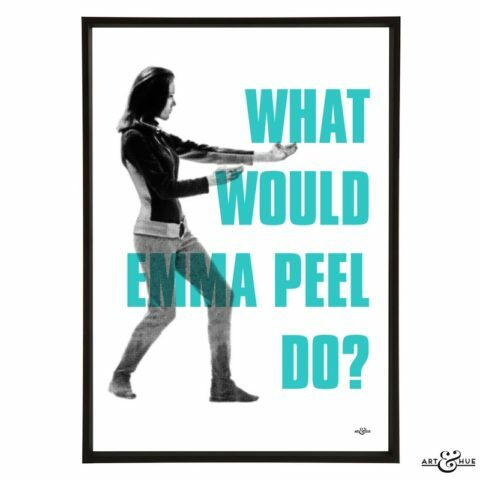 During an era when women were expected to defer to the superiority of men, Emma Peel proved an equal, or a superior, frequently outwitting them intellectually and beating them physically – Diana Rigg even made the record books as the first female to use the martial art Karate on television. 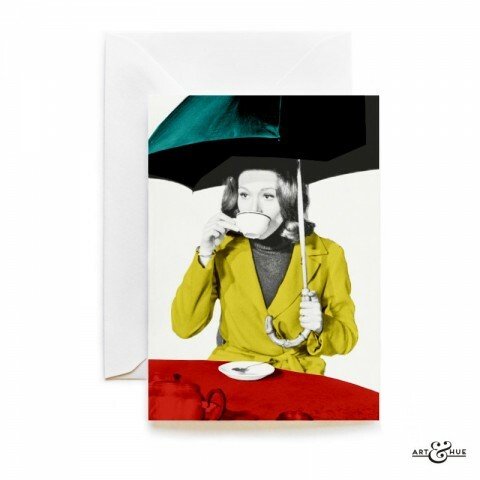 Alongside her impressive film and TV appearances, she’s had a distinguished theatre career of performances filled with impressive roles including her award-winning turns in “Medea” and “Who’s Afraid of Virginia Woolf” and the Dame is currently treading the boards on Broadway in “My Fair Lady” at New York’s Lincoln Center, with her performance garnering plaudits and award nominations. The only “Bond Girl” strong-minded enough to marry James Bond, she continues to portray decisive women, who are not afraid to occasionally show vulnerability, such as the fierce Lady Olenna Tyrell in Game of Thrones and the forthright Duchess of Buccleuch in Victoria. 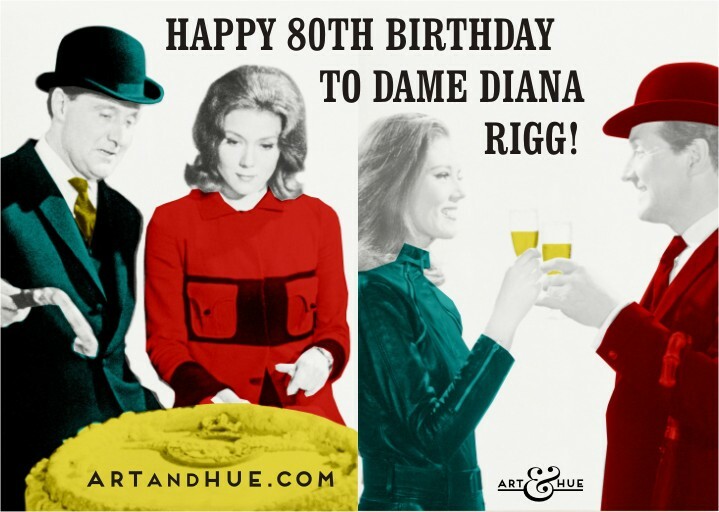 I’ve had the pleasure of meeting Diana Rigg – twice! 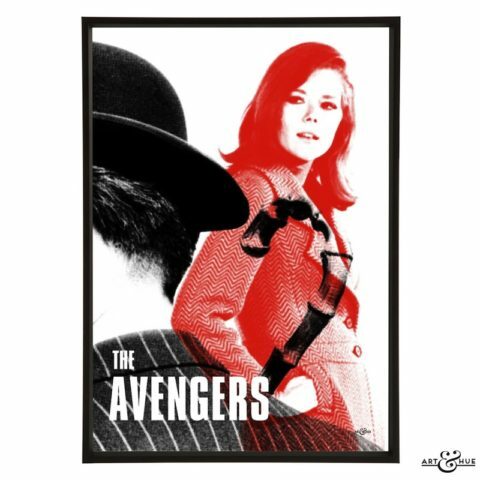 – firstly when the BFI invited Art & Hue to install a pop-up exhibition of The Avengers pop art to coincide with a screening of “The House That Jack Built” followed by an on-stage interview with the actress. 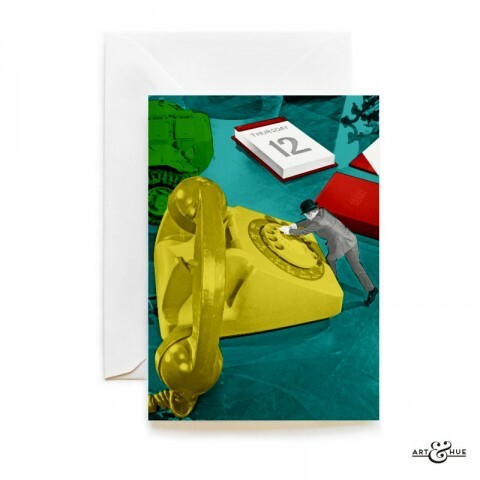 The second occasion was during a celebration of 1960s television at Elstree Studios in 2017. 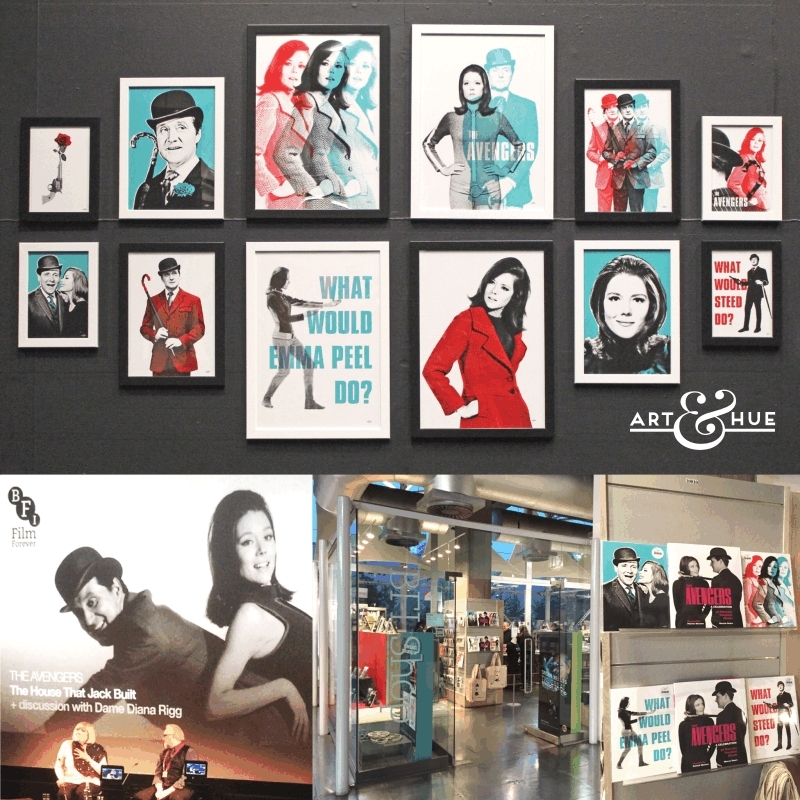 Elstree Studios kindly invited Art & Hue to not only attend the glittering occasion but also to install a permanent display of pop art prints, inspired by film & television productions made at Elstree Studios, in Rushes bar. 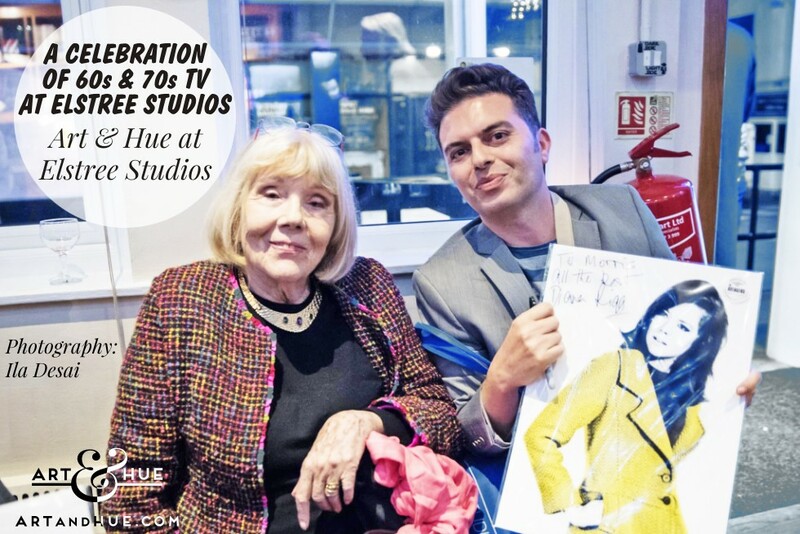 Rushes Bar was the green room for attending actors & actresses and it was the location where Art & Hue got to meet Dame Diana Rigg again and present her with a gift of the John Steed & Emma Peel pop art print. 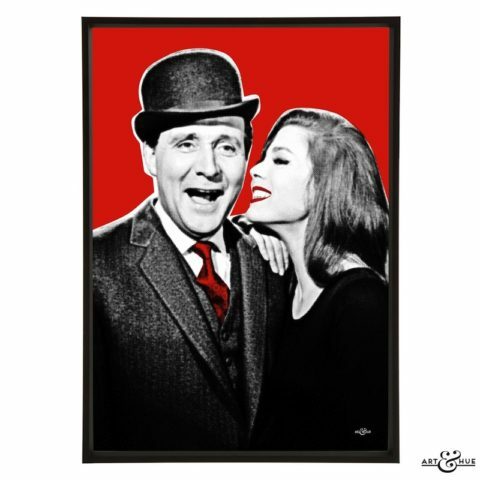 She was charming & funny – good to learn that whatever she said to Patrick Macnee to get him laughing in the art print was “probably something filthy”. 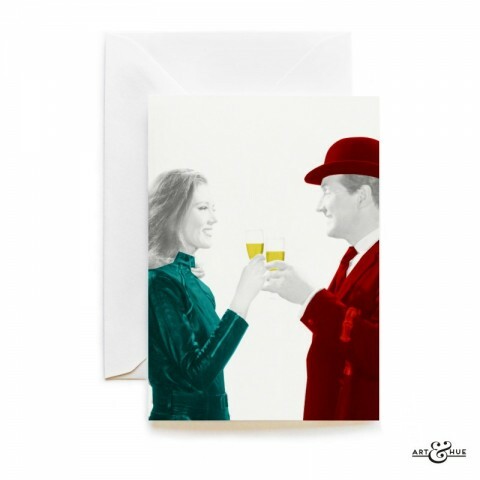 She kindly signed an Art & Hue print as a gift for the Chairman of Elstree Studios, Morris Bright who organised the whole memorable evening and invited Art & Hue to take part. 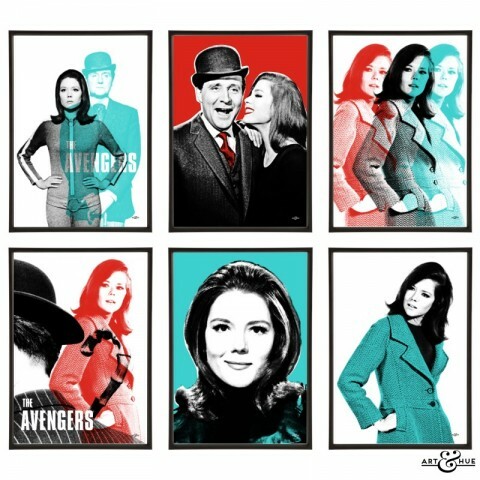 It was great to meet her on both occasions, present her with The Avengers pop art to take with her (which thankfully she loved! 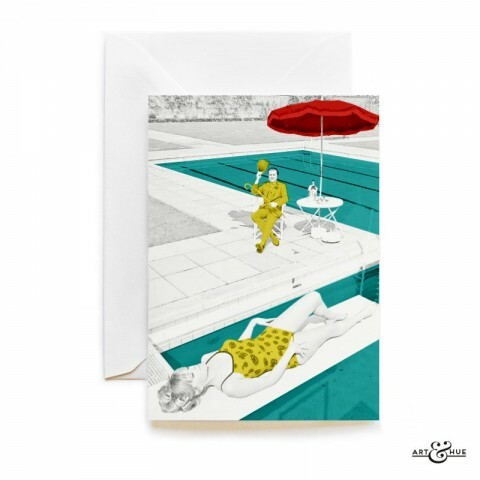 ), and it’s wonderful to know that she has them. 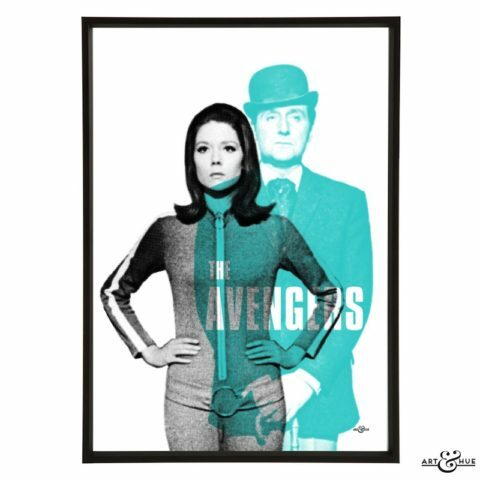 A delightful coincidence is that her birthday falls on the same day that The Avengers episode “The Hour That Never Was” wrapped filming back in 1965. The classic episode set at a deserted base features a scene with a big cake which Art & Hue has reworked to create the “Cake” greeting card. 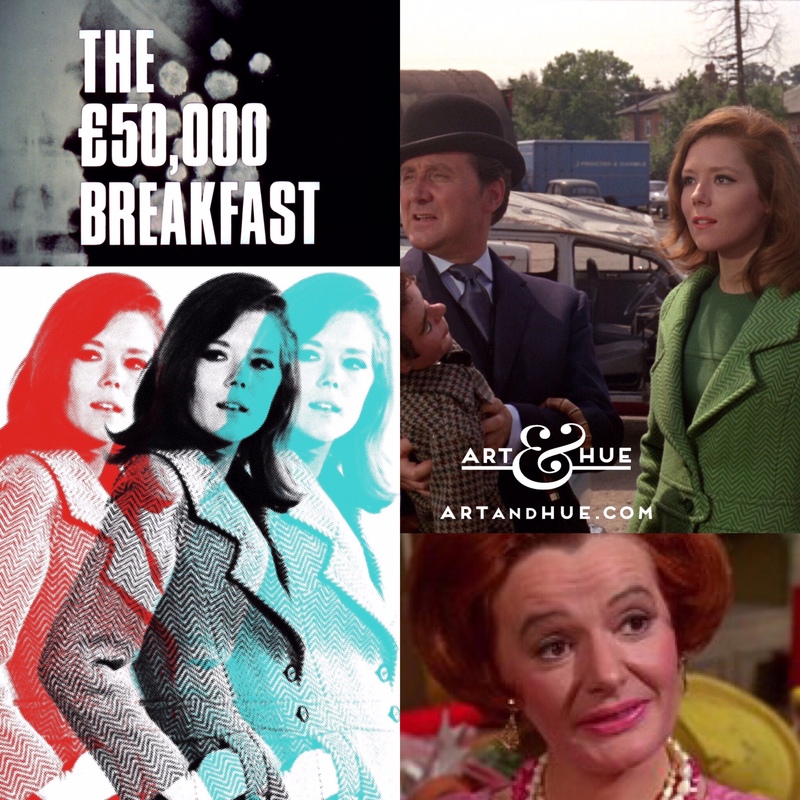 It’s also the same day that “The £50,000 Breakfast” wrapped filming in 1967, the episode where Emma Peel wore the same coat in the image that inspired the Fashion Icon Mrs Peel and Triple Emma pop art prints. 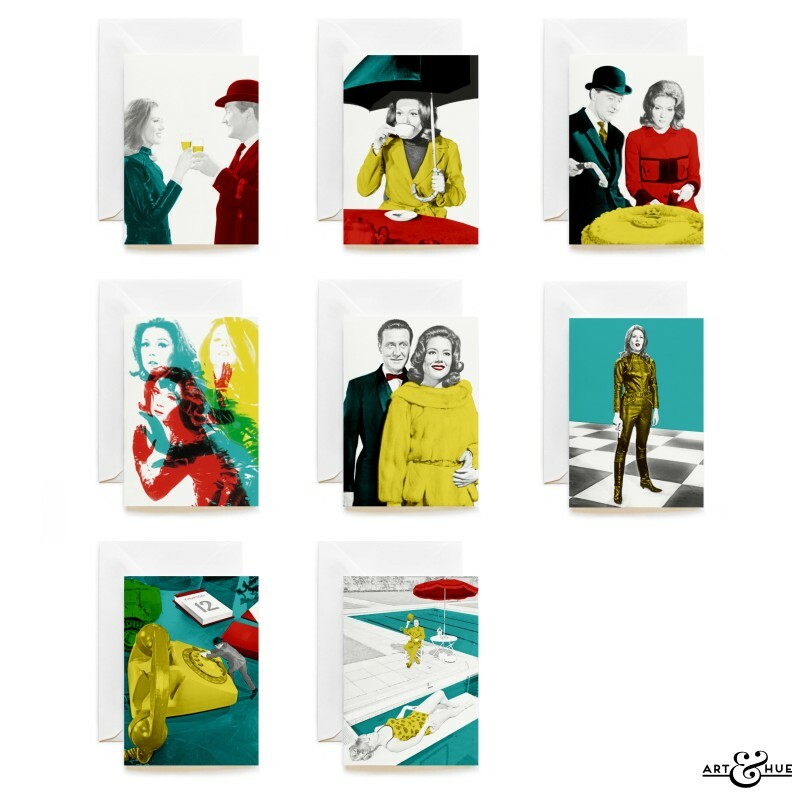 In honour of Dame Diana’s 80th birthday, Art & Hue has been inspired to create a new collection of stylish greeting cards featuring The Avengers Emma Peel & John Steed. An official collaboration with Studiocanal, all cards are available to purchase individually, as well as in groups, and come in A6 size with envelopes. 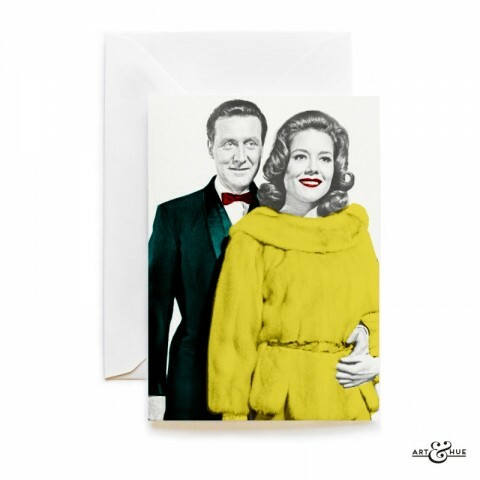 Printed on carbon-captured papers from sustainable sources, the all-purpose cards are ideal for any occasion – birthdays, congratulations, anniversaries, or simply for a fan of classic television. 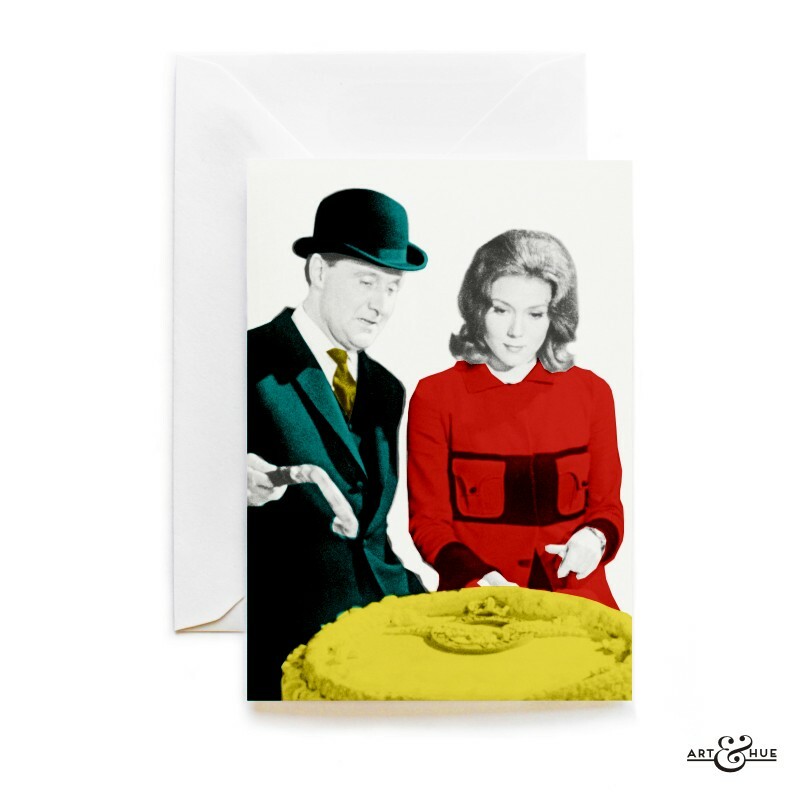 Happy 80th Birthday Dame Diana Rigg! 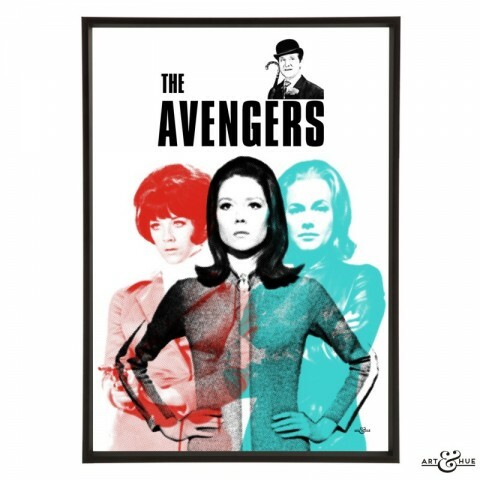 “The Avengers” Copyright © STUDIOCANAL Films Ltd, (1961-1969). All rights reserved.